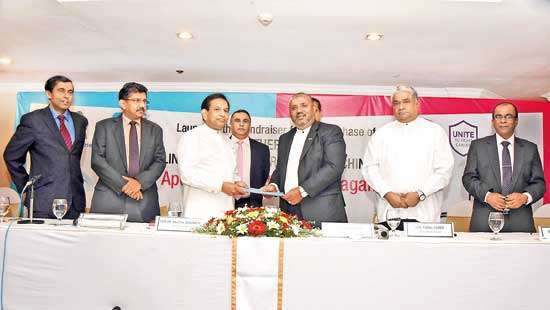 The Central Bank bond issue undoubtedly shook the Yahapalana government which promised to uphold a corruption-free country. 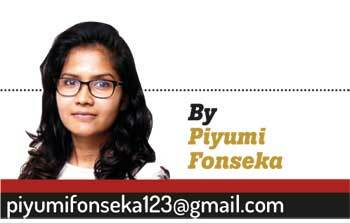 Even the pro-Sirisena parties were left speechless as the simmering bond scandal became a black mark to the concept of good governance. 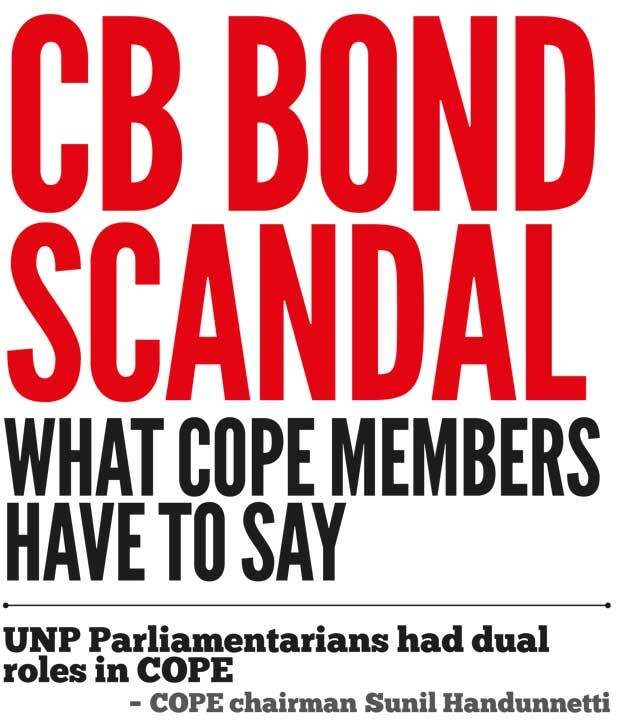 Meanwhile, the COPE (Committee on Public Enterprises) started inquiries into the CB Treasury Bonds deal on May 26, 2015 and concluded recently amidst many more controversies. 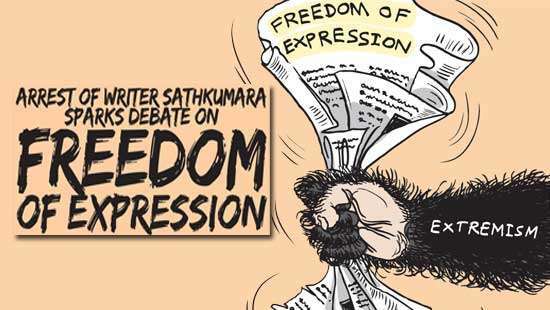 Various stories surround the procedure of the COPE in the bond issue with allegations levelled by UNP, JVP, SLFP and the JO against the course of actions of their rival party members who were at the COPE proceedings. Four main personalities who are members of the COPE spoke to the Daily Mirror with regard to the development of the COPE controversy. The Committee observes that sufficient evidence amounting to reasonable suspicion was revealed about an act of interference or influence by the former Central Bank Governor Arjuna Mahendran with regard to the Treasury bond deal which took place on February 27,2015. It is observed that justifiable suspicion had arisen during investigations due to the absence of maximum transparency in several deals of the Central Bank and the manner in which they were conducted which in turn amounts to a breach of trust. As a result of certain deals, massive inequitable profits were earned by Perpetual Treasuries which is one of the primary dealers. The Committee emphasizes the need for prosecution against the responsible officers and institutions of the Central Bank in order to dispense appropriate penalties or other sentences and the need to recover funds lost to the government. It also urges the Parliament to be directly involved in the progress of follow up investigations to monitor and endorse the implementation of recommended penalties in a rightful manner. It recommends the formation of a special observation group to supervise the issuing and offering of financial tenders of the Central Bank. A broad investigation should be carried out by a legally authorised institution, as the course of action of CB officers who have facilitated the provision of inappropriate financial profits to an individual company causes a serious and unhealthy precedent to the Central Bank of Sri Lanka. The manner in which Perpetual Treasuries earned such figures in profits within a short time period should be revealed and verified as to whether it has caused losses to the government. Former Central Bank Governor Arjuna Mahendran is directly responsible for the said bond deal and legal action must be taken against him and other CB officers involved. A formal mechanism must be established in order to safeguard the credibility and transparency of the Central Bank in such deals and required amendments should be made in the existing Securities and Exchange Commission of Sri Lanka Act as well as other related laws, regulations and acts. It also recommends an open debate in Parliament pertaining to the report. The UNP parliamentarians who are in the COPE had to play two roles in the committee meeting with regard to the bond scam. On the one hand, they had to show that they are against corruption and fraud as those who toiled for the victory of so-called good governance with their diluting policies against fraud and corruption. On the other hand, they had to protect those who are responsible for the bond scam. They have accepted that a fraud has taken place in the bond dealing but they are reluctant to act against the culprits. Who am I to recommend criminal prosecution against those who are responsible? If the investigations find out that the culprits should be punished according to the criminal penalty procedure, it will be done by the legally authorized institutions. This is a committee and not a court. COPE has no powers to prosecute, but can name and shame alleged wrong doers and it is up to the government to take further action. I recommended that it is a duty of the relevant authorized institutions to take action if it is found to be criminal. If I had recommended in the report that a criminal investigation should be initiated against those who are held responsible, this report will be a ‘hateful’ report. "Who am I to recommend criminal prosecution against those who are responsible?" 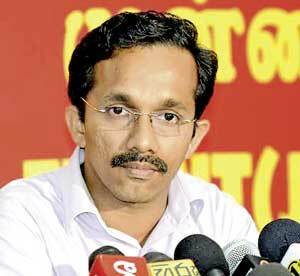 The JVP Parliamentarians wanted the draft compiled by the COPE Chairman JVP MP Sunil Handunnetti to be submitted as final, as it is. 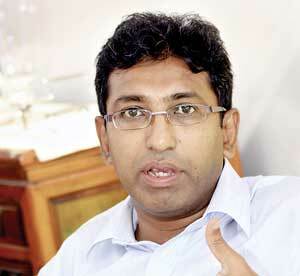 Then what is the role of the UNP Parliamentarians in the COPE? We argued and discussed. We gave some proposals and pointed out the information that we could not agree with. Later, the JVP Parliamentarians wanted two COPE reports coming out because it can be used to sling mud at the UNP saying we are defending the culprits of the bond scam. We did not let it happen. He tried to isolate us in the committee meeting and point fingers at us with the famous allegation that the UNP is defending Arjuna Mahendran. I proposed that a criminal investigation should be initiated and all the members of the director board of Perpetual Treasuries and its holding company should be separately questioned. But, surprisingly, Handunnetti did not agree with it. He walked out of the meeting in protest. Other members of the COPE endorsed my proposal. "I proposed that a criminal investigation should be initiated"
It is obvious that a fraud has taken place in the bond deal on 27.02.2015. But, such a thing was not even mentioned in the COPE report. Instead of stating about ‘unjust enrichment’ gained by the Perpetual Treasuries, the report said about ‘massive profits’. The report should have been much stronger. The JVP parliamentarians and others should take responsibility for this ‘not much stronger’ report. It was they who diluted the report. The JVP acted not only on a political agenda but according to personal purposes which are yet to be known. At the moment, I cannot tell the media about them. We will come back with evidence to prove that allegation. As the COPE Committee is only for issues pertaining to government institutions, the COPE’s role in this bond issue is only to inquire into procedure of the Central Bank. Accordingly, we could find out that former Governor of the Central Bank Arjuna Mahendran had made an impact or involvement in the bond deal with the purpose of giving illegal profits to a private company. The motive of the UNP was clearly to defend Arjuna Mahendran and their ‘cheap’ behaviour proofed how they acted in the COPE meeting to fulfil their whim. These days, MPs and Deputy Ministers who were at the COPE meeting are saying various things to the people to save their names and political images which were diluted in front of the whole country. They could have saved their dignitaries if they could investigate the bond scam with true dedication and commitment. "We could find out that former Governor of the Central Bank Arjuna Mahendran had made an impact or involvement in the bond deal with the purpose of giving illegal profits to a private company"
We are trying to urge the government to implement the recommendations given by at least this report. The JVP will stay vigilant as to whether the government will put this report also into the dustbin or go ahead with necessary action. The 15 recommendations of the final report could have been much tougher if the recommendation to investigate the company ‘Perpetual treasuries’ and its current and ex-Director Board had been included in the report. 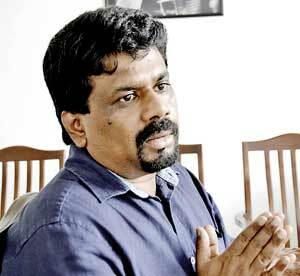 The recommendation was put forward by the committee in the absence of its chairman JVP Parliamentarian Sunil Handunetti who had by that time walked out from the committee meeting. 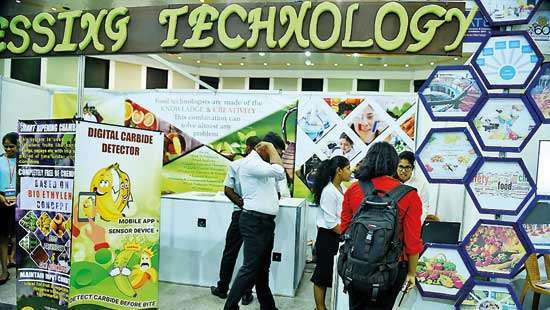 The suggestions by Deputy Minister Ajith P. Perera that Perpetual Treasuries should be held responsible because they have gained ‘unfair profits’ and therefore the Police or Criminal Investigation Department (CID) should conduct an investigation should have been included. We all endorsed them too. Those recommendations were very important. But they are also not there in the final report. 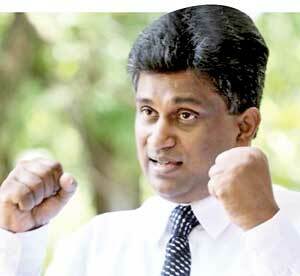 "The 15 recommendations of the final report could have been much tougher if the recommendation to investigate the company ‘Perpetual treasuries’ and its current and ex-Director Board had been included in the report"
UNP Parliamentarians did not level pressure and influence on the Auditor General and other COPE members, but we argued much about the recommendations, as that is how they should discuss the pros and cons of it and come to conclusions in the report. There were several instances which I could not approve during the proceedings because of several technical issues. Otherwise, the report was good enough. However, we expect that the report would shed light to find out if there are more who are responsible for the bond scam other than Arjuna Mahendran and Arjun Aloysius. "UNP Parliamentarians did not level pressure and influence on the Auditor General and other COPE members"
Even a national disaster becomes a potential capital for political exploitation in our country. It is definitely not a comedy . It is a very costly tragedy. What Brutus said may be apt: "Not that I love Caesar less but that I love Rome more"